And by opposing them: to lose seats in 2019? Who should the CM be, Pilot ji or Ashok G? To Ashok Gehlot or Sachin Pilot ji is not the real questions here. What we need to ask Rahul G, the prince of Congress, is this: If you can’t choose a CM, can’t make such simple political decisions, how do you propose to run a country like India as a wannabe Prime Minister? For the first time in the history of the Congress, the fight for leadership has spilled on to the streets. Supporters of Sachin Pilot have been blocking highways, threatening to resign and make the fight ugly. In Jaipur, outside the party headquarters, supporters of Pilot and Gehlot clashed, making the leadership issue resemble a shouting contest. 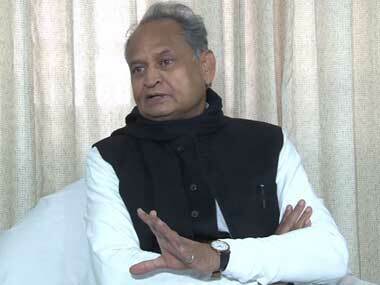 The tussle has already harmed the party, its workers are already divided between Pilot and Gehlot. Even if the two leaders display peace in public, the anger and resentment inside will continue to simmer. Feedback from the ground suggests the caste arithmetic that helped the Congress in the elections is now disturbed—the party will face the consequences in Lok Sabha polls. All this is Rahul Gandhi’s fault. He left the leadership issue hanging till very late, kept both sides guessing and, thus, optimistic about their chances. The Congress is now playing the price of two-timing two powerful leaders—its image is being sullied, ripped apart by personal ambitions. When the cadres show indiscipline, when trusted lieutenants resort to bargain and blackmail, it shows the leadership is weak — its vaqar (prestige, dignity) is not buland (aloft). It proves that the leader is not leading, but being led by his flock. 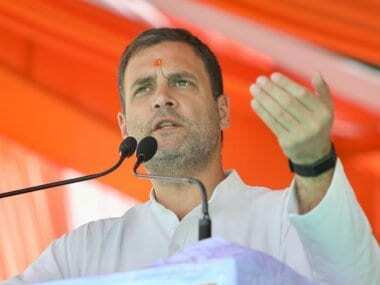 It indicates that the Congress president has not learnt the old dictum of politics — there can’t be respect without fear. 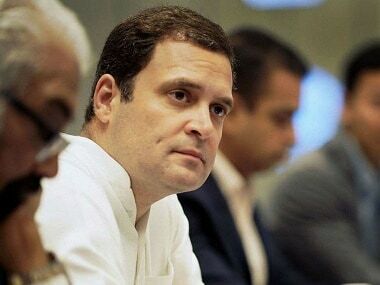 What message is Rahul sending out to the Congress and India by turning the leadership issue into a family dispute that can be settled only with confabulations with his sister and intervention by his mother? 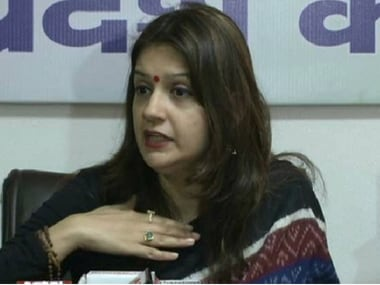 The sight of Priyanka Vadra and Sonia Gandhi rushing to help Rahul make up his mind is not just bad optics but terrible politics — it has a terrifying subtext of medievalism where dynasties took important decisions around dinner tables or in their diwan-e-khaas. The joke now is that Rahul’s nephews may get involved as soon as they get a break from wherever they are studying. The options before the Congress chief weren’t too complicated. He could have either allowed the elected legislators choose their leader and, thus, the next chief minister. For this, he just had to appoint observers and ensure fair play. Or, he could have done what the high command does—impose its will, issue a fiat. He has done neither. Instead he has turned into a negotiator, an arbiter between ambitious leaders. Power sits on the shoulders of only those who know how to wield it, people like the prime minister and Amit Shah. Rahul’s grandmother Indira was famous for changing CMs like upholstery. His father was even more impatient and dictatorial—he changed them like cutlery. In Rajasthan, for example, Rajiv Gandhi made Harideo Joshi, Shivcharan Mathur, Jagannath Paharia and Hiralal Devpura play musical chairs to his music for five years between 1985 and 89. That may not have been right, even whimsical, but he at least he told them who the boss is. In contrast, Rahul is letting others to boss over him. During the 80s, even trusted lieutenants of the Congress high command wielded enormous power. Arun Nehru, for example, was such a formidable figure during Rajiv’s early days that calves of veteran leaders, including CMs, would shake in his presence. The point is: there was fear of the high command’s wrath. Under Rahul it has vanished. One of the reasons could be that Rahul lacks ruthlessness, he is too mild and mellow to take decisions that may hurt people around him. He wants to please everyone, be the quintessential nice guy that unfortunately always finishes last when asked to take decisions. But, in politics, hard decisions have to be taken and implemented, the ramifications have to be handled, damage has to be controlled, egos have to be shattered, discipline has to be enforced. Otherwise the leader becomes a subject of scorn, ridicule and perpetual blackmail; a puppet in the hands of clever Darbaris. In Rajasthan, they have a lovely term for such form of leadership, it’s called Popa Bai ka Raj. A soft and mild person can never be a great leader, he can just be a poet, a hopeless romantic or a Hamlet-isque figure prone to self-doubt and soliloquies. Rahul Gandhi should be wary of becoming the Hamlet of our times.